The Soyuz TMA-05M manned spacecraft touched down early on Monday ending its three-and-a-half hour voyage to bring three International Space Station (ISS) crew members to Earth after 127 days in orbit. 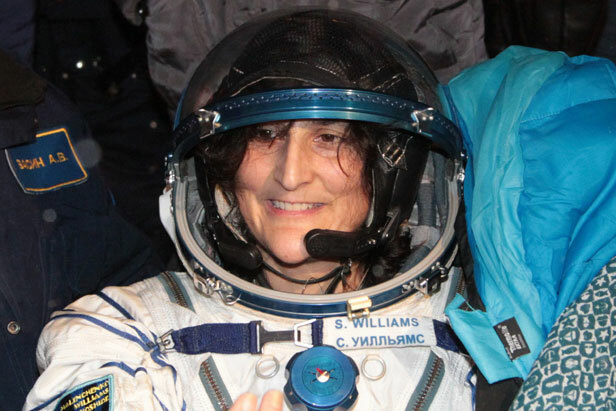 Expedition 33 Commander Sunita Williams of NASA, Flight Engineer Akihiko Hoshide of the Japan Aerospace Exploration Agency and Russian Soyuz Commander Yuri Malenchenko undocked their Soyuz TMA-05M spacecraft from the space station at 4:26 p.m. The trio arrived at the station July 17 and spent 127 days in space, 125 of which were aboard the orbiting laboratory. This was the first pre-dawn landing in darkness for a station crew since April 9, 2006, when Expedition 12 crew members returned.